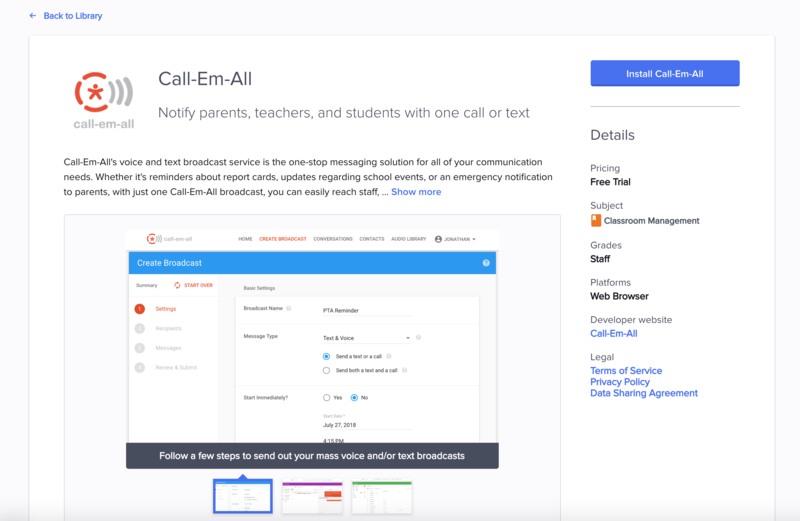 Call-Em-All and Clever have a partnership so that you can use Call-Em-All from within your Clever account. To do this, simply log into your Clever account and find Call-Em-All in the Clever Library. Once you find us, click Install Call-Em-All. Complete your account on-boarding and you'll be all set!